Prinect Image Control Gen 2 comes to DXG Media. This is the very latest version of image control which has been around for a while now and used by many of the UKs better print Companies, however our version is the latest Gen 2 version (one of only 3 in the UK). This clever bit of kit is linked to our press department and both litho machines to examine the quality of colour reproduction and to regulate colours in accordance with the ISO 13655 standard. 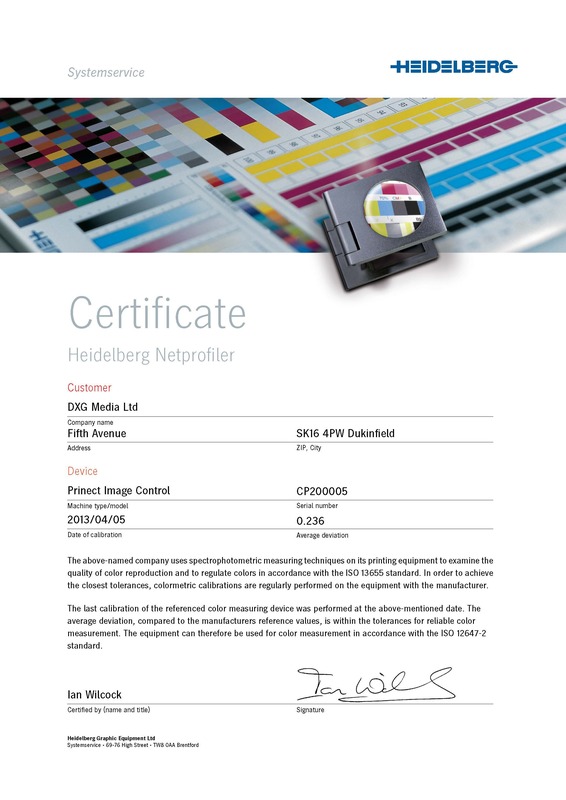 In order to achieve the closest tolerances, colormetric calibrations are regularly performed on this equipment with Heidelberg keeping a tolerance of less than 1.3%. The average deviation, compared to manufacturers reference values. 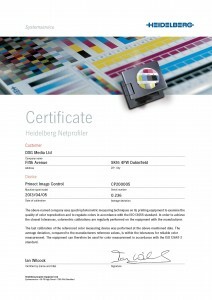 Our system can therefore be used for colour measurement in accordance with the ISO 12647-2 Standard. DXG are a leading commercial printer providing a diverse range of litho and digital print services to clients throughout the UK. You can contact us through the Contact Form, or telephone us on 0161 330 8500.